Some people would describe Murray “Buz” Susser ’66 as one of “those California way-out doctors,” implying a physician who doles out a healthy dose of philosophy or mysticism along with his ministrations. It’s true that Susser treats some of his patients with nutritional approaches, consults a chiropractor for his own bad back, and personally cares for his share of the stars. 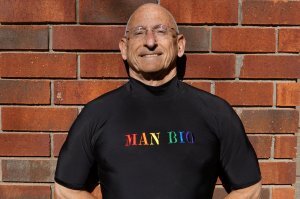 While Susser’s practice is clearly a non run-of-the-mill, neither is it particularly “far-out.” Rather, the Pitt-trained physician combines a firm foundation of traditional family practice (in which he is board certified) with those aspects of nutritional medicine that seem to be valid. In his comfortable, slightly cluttered office, a book on nutrition sits alongside Goodman and Gilman’s and the 1991 edition of the PDR. Susser himself still sounds astonished as he recounts the winding path by which his practice has developed. Following a five-and-a-half year stint as an Air Force fighter pilot during what he calls “the hottest part of the cold war,” Susser, inspired by this brother who was in osteopathy school, decided to investigate a medical career. After completing his undergraduate work in English at Pitt, he applied to and was accepted at the University of Pittsburgh School of Medicine. “I was strapped for money,” he says, “so I only applied to one medical school. Fortunately, I got accepted.” Susser describes his medical school career as “fairly uneventful” until his senior year when he directed the annual Scope and Scalpel Society production, The Sordid Life of Wally PMSten. “That probably cost me about five or ten places in the class standing,” he quips. Susser also ventured into the medically suspect arena of chiropractic. He had injured his back in the Air Force and still had pain from his injury. A chiropractor who lived in his neighborhood offered to treat Susser and, in desperation, he accepted. “I’d been to everyone for my back…, and no one had helped; and this chiropractor got my back enormously better in about two months…. In those days, associating with a chiropractor was almost grounds for disbarment and losing your license.” Susser continues to use and to recommend chiropractic for certain conditions. During his Air Force days, Susser had done temporary duty in the Los Angeles area and, from that time, yearned to move to California. By 1981, with his first marriage deteriorating, he said, “Well, what the hell. I’d rather live in California and give it a try.” Establishing a practice in Los Angeles wasn’t easy, but after a couple of false starts, he was finally able to settle in Santa Monica. One activity that helped him to become known in the area was his hosting of a radio talk show, during which people could call in and ask medical questions. University of Vermont, Adult Education, 1958-1959. 1985 – Private practice, Marina Del Rey, CA. 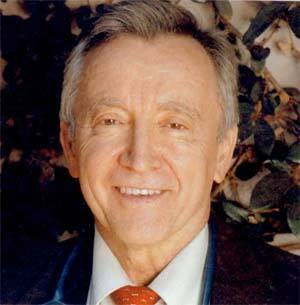 1984-1985 – Private Practice, Oklahoma City, OK.
1983 – Co-Director, Atkins Center for Alternative Therapies, N.Y., NY. 1968-1981 – Solo General and Family Practice evolving to include Clinical Nutrition, Prevention and Intravenous Therapies (nutritional and chelation), suburban Pittsburgh, PA.
1967-1981 – Attending Staff Physician St. Margaret Memorial Hospital. 1967-1968 – General and Family Practice with Glenshaw Medical Associates, Pittsburgh, PA.– 1 1/2 years. 1966-1967 – Rotating (Family Practice) Internship at St. Margaret Memorial Hospital, Pittsburgh, PA.
1954-1959 – Fighter-Pilot, USAF, Flying F-86 Sabre Jets and F-102 Delta-Daggers. Private Practice in the Longevity Medical Center. Private practice — General Medicine, Chronic Fatigue Syndrome, Mixed Infection Syndrome Clinical Nutrition, Anti-addiction Therapies, Intravenous Therapies, Prevention. “Eclectic Medicine,” Dynamic Chiropractic, Monthly Column, beginning 1987. “Mixed Infection Syndrome,” Seven articles appearing in consecutive months in Dynamic Chiropractic 1987. Associate Attending Staff, St. Margaret Memorial Hospital, Pittsburgh, PA.
Preceptor, St. Margaret Memorial Hospital, Family Practice Residency Program. Courtesy Staff, North Hills Passavant Hospital, Pittsburgh, PA. Fellow, International College of Applied Nutrition. Fellow, International Academy of Preventive Medicine. Hall of Honor Medal, American Academy of Medical Preventics, 1983. Formerly co-hosted radio medical commentary shows in Pittsburgh and Oklahoma City.